Bassbottle has a very elite set of followers, the so-called Sonic Speed Soldiers. People like you and me from all over the world. These soldiers are open-minded, responsible, think outside the box and love to have fun. They like to create, to discover and to experiment with a burning heart full of desire. They have goals and follow their passion. And they love to enjoy good music and to share it with others to make this planet a place of bass and happiness. You are invited to become part of the Bassbottle army and officially call yourself Sonic Speed Soldier, too. Become a vanguard of mirth, a mercenary of joy, a sermoniser of freedom and music. The mission? To enlighten the unhappy. To thrill the ignorami. To inspire the bored. To set a sign: We are here and we stay here! United! Peaceful! Dancing! We meet in clubs, at events, private, on social network websites or here on this page. Together we are the force to be reckoned with. And we’ll bring fun into the clubs and events, into the music shops and the whole world. Your own ideas are so much welcome. Do or create something and share it with us. Otherwise check out our wicked guerilla missions you can accomplish, run over some cool propaganda material and visit the official shop BottleWear! Be inspired and inspire others. You are the one who creates. You are one of the chosen few. You are a Sonic Speed Soldier. 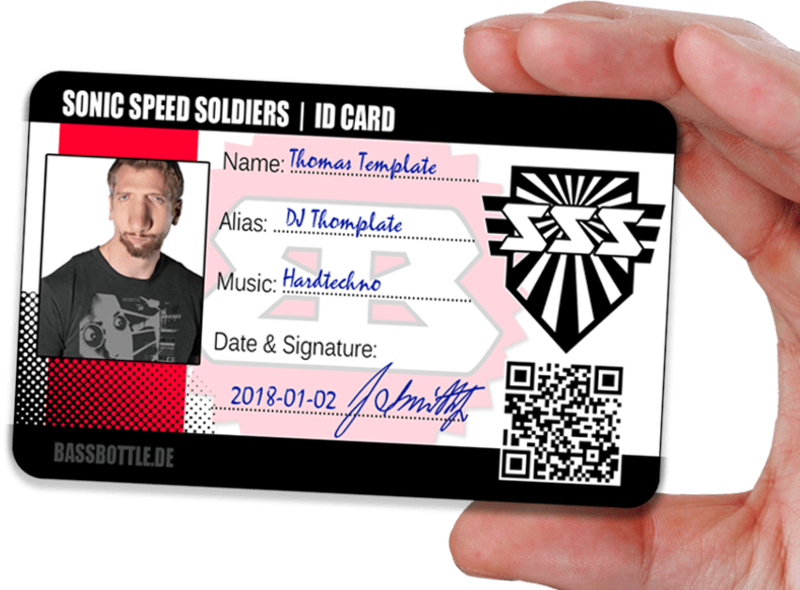 By the way: Don’t forget to download your Sonic Speed Soldiers ID Card! You can find it on the propaganda material page.